Tickets are still available for our June 11 The Digital Nonprofit conference. Use this link to save $24. Where’s your nonprofit’s money at? NetSquared Vancouver wants to help! 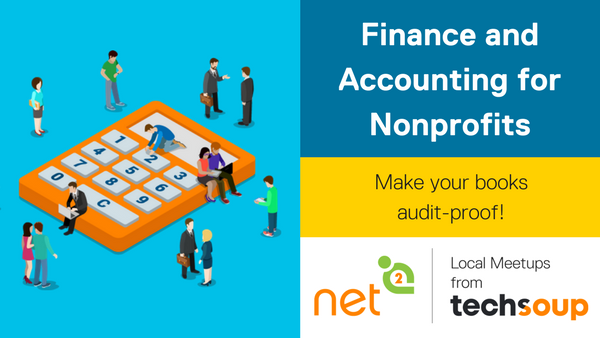 If your nonprofit doesn’t have its books in order, then ensuring you are compliant with tax regulations can be a real drain on resources. Accounting software can help, but only if you know how to use it effectively. A warm welcome to our newest sponsor, the Vancouver Community Network. With their support we’ll be providing pizza at all our free meetups for the next year. Whoooo! This two-day, hands-on workshop with award-winning data journalist Chad Skelton will teach you the fundamentals of Tableau, the world’s leading data visualization software, as well as the principles of data storytelling. Workshops on many aspects of project organization and management shared by most field active NGO’s. If you have a job to share reach out on Twitter @net2van or post to our free jobs board. This entry was posted in Monthly Updates and tagged 2018, Accounting, April, Quickbooks on March 25, 2018 by admin.